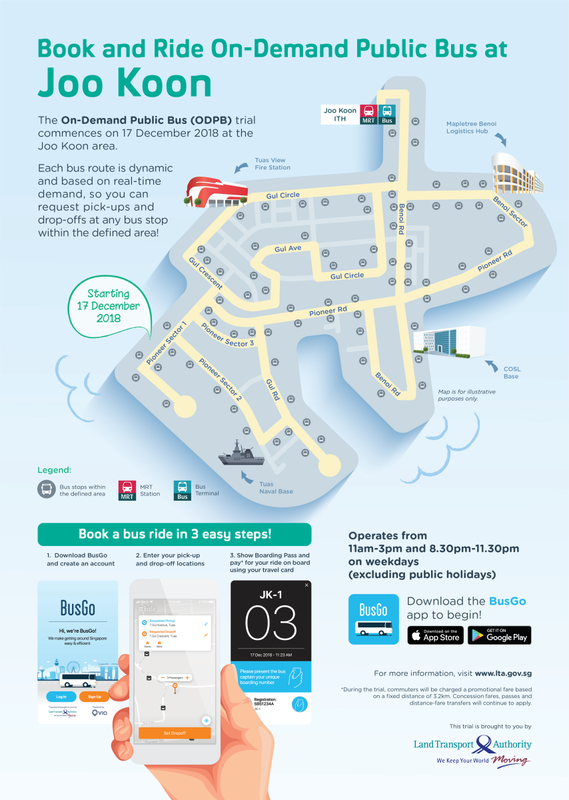 From December 17, commuters will be able to book a ride on an On-Demand Public Bus (ODPB) with a mobile application. 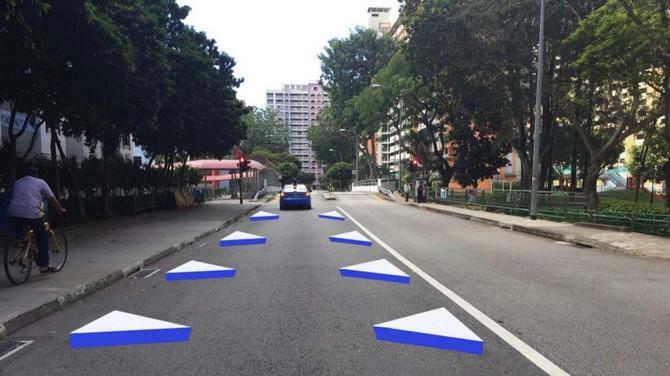 Conducted by the Land Transport Authority (LTA), the ODPB trial will run for six months, according to a press statement. Using an app, commuters can request to be picked up and dropped off at any bus stop within defined areas during designated hours. This applies even if the bus stops are currently not served by the same bus service. 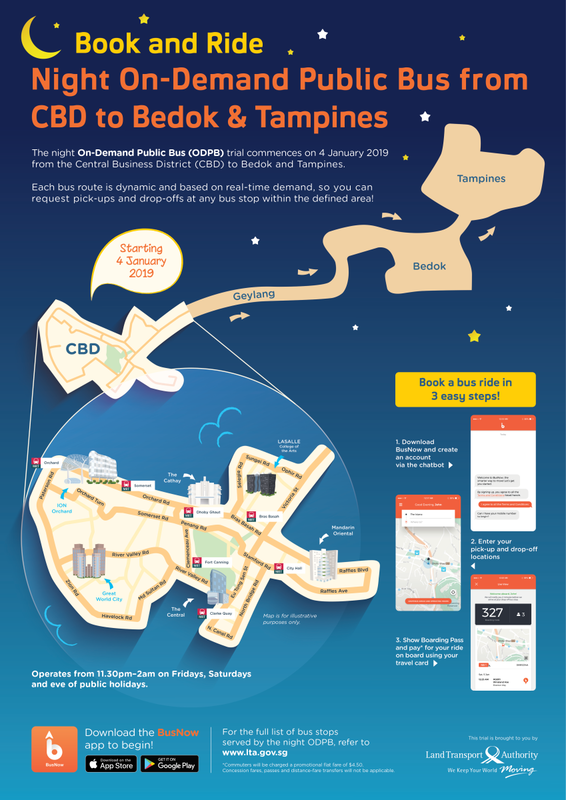 These defined areas are in Joo Koon, Marina-Downtown and from the Central Business District (CBD) to Bedok and Tampines via the Geylang corridor. Two public transport operators will be involved in the six-month period. 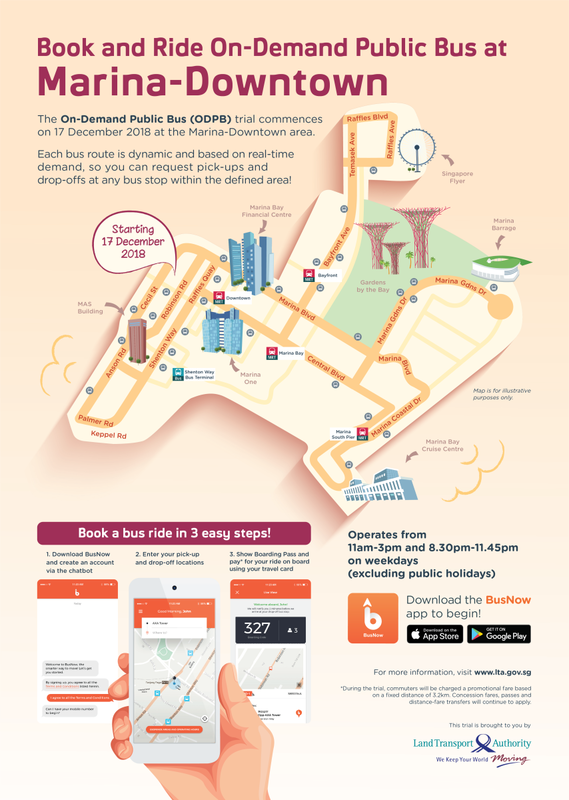 SBS Transit Ltd will commence its weekday ODPB services from December 17, 2018, at two locations: Joo Koon and Marina-Downtown. For a start, commuters taking the weekday ODPB services will be charged a promotional fare based on a fixed distance of 3.2km. 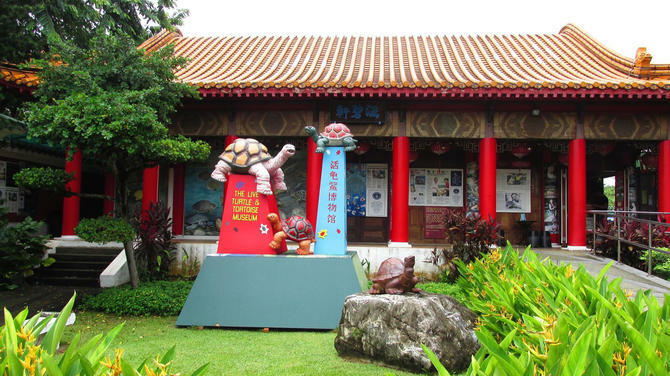 The fare is regardless of the actual distance travelled. Commuters taking the night ODPB service will pay a promotional flat fare of $4.50, the same as the existing fare of NightRider NR7. Commuters can pay their fares using CEPAS cards, supported bank cards or cash like any other public transport ride. 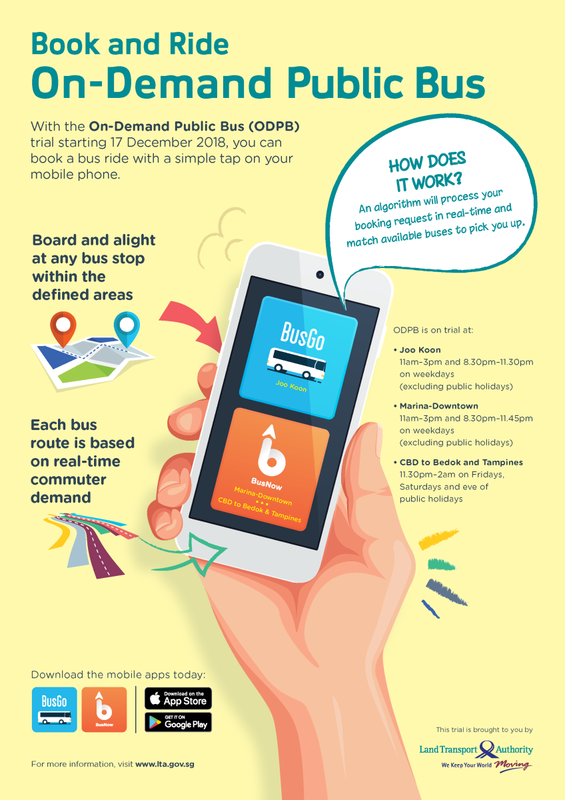 To use ODPB services, commuters will need to download mobile applications - “BusGo” and “BusNow” - from the Apple App Store or Android Play Store. 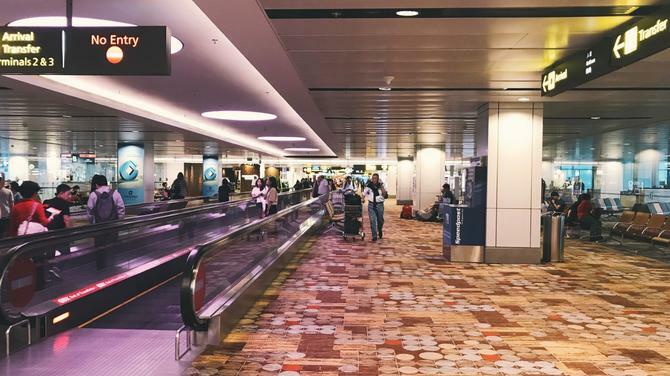 The trial will enable LTA to evaluate the feasibility of operating public bus services based on real-time commuter demand and along dynamic routes. During the six-month period, LTA may adjust parameters, such as the frequency of regular bus services and fares of the ODPB services.